Only constant innovation can help you stay ahead of the evolving threat landscape while also delivering the best mix of protection, performance and usability. Gravity architecture enables an enterprise to deploy protection in hours, rather than days. Bitdefender Global Protective Network uses intelligent learning mechanisms and delivers threat intelligence in less than 3 seconds anywhere in the world. 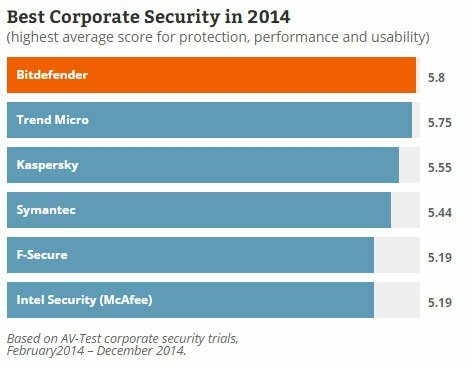 Bitdefender Endpoint Security Tools adapts automatically to virtual or physical systems, delivering the best performance across all environments. Active Virus Control uses continuous process monitoring to detect even the most elusive threats while Photon technology optimizes system resource consumption by ensuring only potentially malicious files are scanned. GravityZone is one business solution that can be installed locally or hosted by Bitdefender. Antimalware Protection is the same for each of the options bellow. Protection for AWS managed from the same cloud console. Purchased Separately. Details Covers servers and desktops. Max 30% of the units covered by the license can be servers. Covers desktops, servers or mobiles (servers no more than 35% of the total) + Exchange mailboxes. Each item can be purchased separately and can be activated based on its own license key.